Not only is the site selected for a national nuclear waste dump in South Australia’s Flinders mountain range Aboriginal spiritual land, it’s also subject to seismic activity and flooding. Sign the petition against #barndiootadump. The Australian Federal Government has announced that the Flinders Ranges in South Australia has been selected as the preferred site for a national nuclear waste dump. “Adnyamathanha Traditional Owners weren’t consulted about the nomination. Even Traditional Owners who live next to the proposed dump site at Yappala Station weren’t consulted. The proposed dump site is adjacent to the Yappala Indigenous Protected Area. On the land with the proposed dump site, we have been working for many years to register heritage sites with the SA government. The area is Adnyamathanha land. It is Arngurla Yarta (spiritual land). The proposed dump site has countless thousands of Aboriginal artifacts. Our ancestors are buried there. The nominated site is a significant women’s site. Throughout the area are registered cultural heritage sites and places of huge importance to our people. “There are frequent yarta ngurra-ngurrandha (earthquakes and tremors). At least half a dozen times each year, we see and feel the ground move. It is flood land. The water comes from the hills and floods the plains, including the proposed dump site. Sometimes there are massive floods, the last one in 2006. “We don’t want a nuclear waste dump here on our country and worry that if the waste comes here it will harm our environment and muda (our lore, our creation). We call on the federal government to withdraw the nomination of the site and to show more respect in future. We call on all South Australians − all Australians − to support us in our struggle. 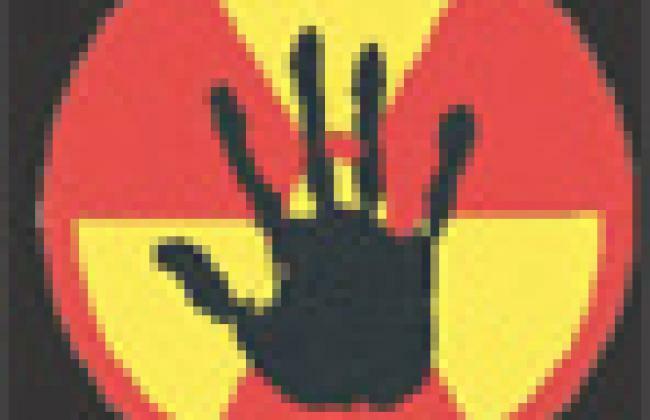 Adnyamathanha Traditional Owners and Viliwarinha Yura Aboriginal Corporation will fight the proposal for a nuclear waste dump on our land for as long as it takes to stop it.